Keep your kids cool, calm and collected with these simple strategies that will see them breezing through hot summer days, especially in Australia. Clothes Children’s clothing impacts considerably on their mood and if they are comfortable and cool they are less prone to temper tantrums and other poor behaviour. The best way to keep small children and babies comfortable is by dressing them in light, breathable fabrics like cotton and bamboo. Trusted brands like Bonds and Marquise are made from 100% cotton and come in a range of summer styles. Searching for Marquise or Bonds online is a smart way to go and provides an insight into the enormous range available for babies and children this summer. Girl’s clothes can still be colourful and pretty without compromising on comfort. There are great summer styles that will suit every occasion by designers like Pink Tomatina and Yunginz who make individual, fashion-forward clothes for the fussiest of little girls. When buying baby gifts or shopping for your own baby, look for new brands Angel Dear, Lil Fashionista and Dr Seuss. These funky designs will ensure that baby will be looking cool and feeling comfortable this summer. The best protection from the Australian sun is a hat and good sunscreen. If your baby or child likes to repeatedly pull their hat off then find one that ties up under the chin. Always re-apply sunscreen after swimming and whenever possible keep small children in the shade. There are many portable shelters available now that can fold away into a lightweight backpack. 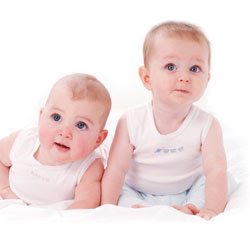 These are highly recommended for babies and small children who have delicate skin. Learn to SwimEffective pool and water safety training includes teaching your kids to swim. Baby’s who are introduced to swimming early, experience less anxiety around water and are usually much safer around water. When young children have regular swimming lessons they begin to understand difficult concepts like water depth and they can identify the shallow end and the deep end. Exposure to swimming lessons improves water safety in that children gain respect for water and can begin to determine what situation may be unsafe. Griffith University in Queensland is currently studying the benefits of very young children learning to swim. They are examining thinking that early age swimming lessons enhances motor movement, improves cognitive skills, develops social and emotional skills and improves language skills. Indoor Games and ToysFamily board games like Monopoly have been updated and have modern accessories like credit card machines. Keeping the kids entertained doesn’t always mean television or computer games. Board games are great for adults and older children. Craft sets, paint sets, building blocks, wooden puzzles and educational toys are all great toy options to keep children amused and out of the hot sun. MusicUpdate your iPod. Include a playlist of relaxing music for long car trips and before bedtime. Classical, world music, chill out techno and folk music are all excellent genres for calming hot tempers and avoiding upsetting tantrums. Your kids will be expanding their musical tastes while the different rhythms gently calm their mood.